East Carolina University is a public, doctoral/research university in Greenville, North Carolina, United States. Named East Carolina University by statute and commonly known as ECU or East Carolina, the university is the third-largest in North Carolina. The Association of Public and Land Grant Universities designates East Carolina as a Sea Grant university and an Innovation and Economic Prosperity campus. Founded on March 8, 1907 as a teacher training school, East Carolina has grown from 43 acres (17 ha) to almost 1,600 acres (647 ha) today. The university's academic facilities are located on five properties: Main Campus, Health Sciences Campus, West Research Campus, the Field Station for Coastal Studies in New Holland, North Carolina and the Millennial Research and Innovation Campus in Greenville's warehouse district. The nine undergraduate colleges, graduate school, and four professional schools are located on these four properties. All of the non-health sciences majors are located on the main campus. The College of Nursing, College of Allied Health Sciences, The Brody School of Medicine, and School of Dental Medicine are located on the health science campus. There are ten social sororities, 16 social fraternities, four historically black sororities, five historically black fraternities, one Native American fraternity, and one Native American sorority. There are over 300 registered clubs on campus including fraternities and sororities. The varsity athletics fields are located south of the College Hill residential neighborhood. Fourteenth Street divides College Hill to the north, with the athletic fields to the south. Charles Boulevard borders the fields to the west and Greenville Boulevard borders it to the south. A residential neighborhood and Elmhurst Elementary School are the eastern borders. The northern portion of the area sits Dowdy-Ficklen Stadium, Minges Coliseum, and Minges Natatorium, along with parking. The Murphy Center, which is the primary strength and conditioning, and banquet building, is located between Dowdy-Ficklen and Minges Coliseum. The Tennis Complex, Ward Sports Medicine Building, Scales Field House, and the Pirate Club Building also surround Dowdy-Ficklen. The Ward Sports Medicine Building houses offices for football and basketball, Pirate Club, media relations, and the director of athletics. The Scales Field House provides locker rooms, offices and equipment storage. The Pirate Club Building houses a ticket office, other offices, and an area for Pirate Club members. South of those facilities is the Cliff Moore Practice Facility which has a pair of natural grass fields and one FieldTurf field designed exclusively for the football team. On the southern border of the practice facility is Clark-LeClair Stadium, which is the men's baseball stadium. It opened in 2005 and seats 3,000 in permanent seating with another 2,000 located in the outfield. At the southern end of the fields is the Olympic Sports Complex, which include women's soccer stadium, softball stadium, track and field facility, and Olympic Sports Team building. The Olympic Sports Complex was completed in 2011 with a price of $23.4 million. The Smith-Williams Center is a $17 million basketball development and practice facility, opened in 2013. The football stadium is planning for a $40 million upgrade. The upgrades will include a new press, club, and suite areas, and upper deck, all located on the south side. This addition will increase the capacity from 50,000 to 60,000. East Carolina has spent $92 million on athletic projects from 1998-2011. Including the proposed projects, this is increased to $145 million. The Health Sciences campus is situated beside Vidant Medical Center (VMC). VMC was originally Pitt County Memorial Hospital. After becoming a private non-profit hospital, the renaming occurred. VMC, an 861–bed flagship Level I Trauma Center, serves as the academic medical center for The Brody School of Medicine. Vidant Health owns VMC, leases or owns six and manages one. The area is about 2 miles (3.2 km) west of Main Campus on 206 acres (0.8 km2) with nearly 1,300,000 square feet (121,000 m2) of academic and research space in 62 buildings. Other buildings besides VMC include Brody Medicine Science Building, the East Carolina Heart Institute, Leo Jenkins Cancer Center, and the Allied Health building composed of the College of Nursing, Laupus Medical Library and College of Allied Health Sciences. The 117,000 square feet (11,000 m2) Family Medicine Center opened in the fall of 2011. Ross Hall, which will house the School of Dental Medicine, will be just under 200,000 square feet is currently being built. The School of Dental Medicine proposes to create 10 community service learning centers to be located in rural and underserved areas throughout the state of North Carolina. The fourth-year students will be learning and providing care for the community for one year in these community centers. Five community centers have been announced. They are located in Ahoskie, Elizabeth City, Lillington, Spruce Pine, and Sylva. The other locations will be announced at a future time. Phase II opened in August 2011, with the grand opening occurring on September 15, 2011. This phase includes a 5.6-acre (0.0 km2) lake on with a 51,000-square-foot (4,700 m2) beach. A 2,000-square-foot (190 m2) boat house is also located there. Canoes and kayaks can be rented at the boathouse for use in the lake. Other amenities include sand volleyball courts, horseshoes, grills, fitness equipment, six walking/running trails, a disc golf course, and an Odyssey Course which includes a 300-foot zip line. The College of Health and Human Performance is made up of three departments and handles all of the recreational and exercise degrees at East Carolina University. It took on its name in 2003, but traces its legacy to the Department of Physical Education in 1930. It was the 1930 East Carolina Teachers College Planning Document number two priority. In 1938, the Department of Physical Education was established and Physical education became a specialty area for high school teachers. The College of Human Ecology houses four departments and one school along with two institutes. It was first incorporated in 1968 and started to admit students in 1971. "The Carolyn Freeze Baynes Institute for Social Justice is an international forum for addressing questions, presenting ideas, and developing innovations. The Institute's focus in these activities is the identification of injustices and development of more just alternatives through systematic professional research, scholarship, and public presentation of findings and ideas." The College of Allied Health Sciences encompasses the health science majors outside of nursing. The school offers over 15 majors. All of the health sciences majors are located in the Allied Health Sciences building which is on the Health Sciences Campus beside The Brody School of Medicine. It was established in the 1967–68 school year. The School of Dental Medicine is a professional school at the university. The school graduates one degree, Doctor of Dental Medicine. It will also have two residencies in Advanced Education in General Dentistry and Dental General Practice. The school also will offer a specialty program in Pedodontics. It was founded on February 24, 2006 at the East Carolina Board of Trustees meeting. The dental school was unanimously approved by the UNC System Board of Governors as well. The facilities are located on the Health Sciences Campus and will house the first three years of education. Dental students will complete their final year at ECU Community Service Learning Centers to be located throughout the state. The School of Dental Medicine is one of two dental schools in the state. 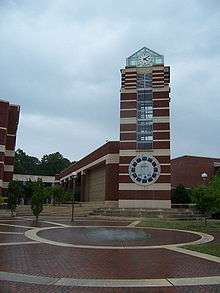 The Music Library is a branch of Joyner Library located on the first floor of A.J. Fletcher Music Center. It houses approximately 93,000 items, including the entire audio recording collection. It is the largest music collection east of Raleigh. The primary users of the library are faculty and students within the School of Music and the School of Theatre and Dance, but anyone can use its resources. It began in 1958-59 academic year when a small library was created. Today a staff of five oversee the library duties. There are ten social sororities at the East Carolina Campus, most of which own a house located at or near 5th or 10th Street. There are currently 17 social fraternities at East Carolina. The majority are located off or near 5th Street or 10th Street. Of the 17 social fraternities, seven currently do own a house. Greek life started in 1958 with the introduction of four social fraternities: Kappa Alpha Order, Lambda Chi Alpha, Pi Kappa Alpha, and Theta Chi. Two years later, eight of the ten social sororities were founded. National Pan-Hellenic Council (NPHC) has a presence on campus, as well. There are four historically black sororities and five historically black fraternities. There are over 18 honor and 13 service or religious fraternities or sororities at ECU. East Carolina Cheerleading squad with members of the II Marine Expeditionary Force. ECU's sports teams, nicknamed the Pirates, compete in NCAA Division FBS as a full–member of the American Athletic Conference (The American). The Pirates joined The American on July 1, 2014. Jeff Compher is the Athletic Director. The football team is supported by world-class spirit groups, such as the East Carolina University Marching Pirates, National Award winning Cheerleading squads, and spirit teams. Facilities include the 50,000 seat Dowdy-Ficklen Stadium for football, the 8,000–seat Williams Arena at Minges Coliseum for men's and women's basketball, and Clark-LeClair Stadium, with a seating capacity of 3,000 (max capacity of 6,000+ when including outfield "Jungle" areas) for baseball. The Ward Sports Medicine building comprises 82,095-square-foot (7,600 m2) and houses the athletic department, Pirate Club offices and the Human Performance Laboratory. Athletes train in the Murphy Center a 52,475-square-foot (4,875 m2) edifice, housing the strength and conditioning facilities, along with banquet rooms, sport memorabilia, and an academic enhancement center. The Murphy Center was built for approximately $13 million and opened its doors to ECU student–athletes in June 2002. In 2012, East Carolina was classified by U.S. News & World Report as a National University in its second-tier rankings. In 2010, Forbes ranked the school 36th in its America's Best College Buys story. "Hail to Thy Name So Fair" is the alma mater at East Carolina University. It first appeared in the 1940-41 East Carolina Teachers College (ECTC)Student Handbook. It was written by Harold A. McDougle ('44) who became a part-time instructor in the Music Department from 1946-47. The Marching Pirates perform the song during all home football and basketball games. At every home football game, after the National Anthem is played by the band, the Alma Mater is played followed by the E.C. Victory song. At the end of football games, the football team walks to the student section to sing the Alma Mater and E.C. Victory song in unison. Pirate graduates have been influential in teaching, business, and the arts. 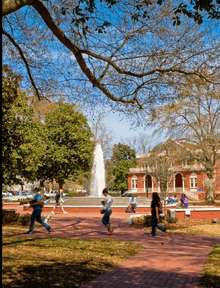 Actress Emily Procter, Beth Grant, and screenwriter Kevin Williamson, creator of Scream and Dawson's Creek, graduated from East Carolina. Acclaimed screen actress Sandra Bullock attended, but graduated later after leaving to pursue her acting career. Marcus Crandell (born June 1, 1974, in Charlotte, North Carolina) is a former quarterback and current coach in professional Canadian football; he played 11 seasons for the Edmonton Eskimos, Calgary Stampeders and Saskatchewan Roughriders from 1997 to 2008 while also spending time in NFL Europe and the XFL. Crandell was named the Grey Cup Most Valuable Player after the Stampeders won the 89th Grey Cup in 2001. Class of 1974 Alumnus Rick Atkinson, wrote An Army at Dawn: The War in North Africa, 1942–1943 followed by "The Day of Battle, The War in Sicily, 1943–1944" and Dan Neil wrote criticism on automobiles; both received Pulitzer Prizes. The most notable teaching alumnus is Ron Clark, a teacher, author, and founder of the Ron Clark Academy in Atlanta, Georgia. James Maynard graduated with a degree in psychology and founded the Golden Corral restaurant chain. Kelly King is the current chief executive officer for BB&T and graduated with an undergraduate degree in business accounting and a master's of business administration. Former Jacksonville Jaguars quarterback David Garrard attended where he majored in Construction Management. Chris Johnson was drafted by the Tennessee Titans in the first round of the 2008 NFL Draft. WWE Chairman and CEO Vincent K. McMahon and his wife Linda McMahon both graduated with a degree in business administration as well. Scott Avett of the folk-rock band The Avett Brothers earned degrees in 1999 and 2000. Henry "Gizmo" Williams, Canadian Football League inductee, graduated from East Carolina University. ↑ 2015 "Second Century Campaign Update" (PDF). Facilities and Resources Committee. East Carolina University Board of Trustees. p. 18. Retrieved September 17, 2010. 1 2 3 4 5 6 7 "ECU Enrollment Rises the Daily Reflector". East Carolina University. Retrieved 5 August 2015. ↑ "East Carolina University". Featured Campus Profiles. US Journal of Academics. June 2007. Retrieved 2007-06-11. ↑ "Greenville Gets the School". The Daily Reflector. July 11, 1907. p. 2. Retrieved 2007-07-14. 1 2 3 "Facilities". Quick Facts. East Carolina University. February 16, 2010. Retrieved 2010-02-20. 1 2 "ECU Field Station for Coastal Studies at Mattamuskeet". Mattamuskeet Field Station. College of Arts and Sciences - East Carolina University. 2001. Retrieved 2007-06-11. ↑ "Brief Description" (PDF). East Carolina University. The University of North Carolina - General Administration. June 30, 2006. Retrieved 2007-07-16. 1 2 "Chapters". Greek Life. Division of Student Life. 2007-04-11. Retrieved 2007-06-11. ↑ "East Carolina University". America's Best Colleges 2007. U.S. News & World Report. 2007. Retrieved 2007-06-10. ↑ "An Act to Stimulate High School Instruction in the Public Schools of the State and Teacher Training". North Carolina Public Laws 1907, Chapter 820. North Carolina General Assembly. 1907-03-08. Retrieved 2007-06-10. ↑ "Joyner Library exhibit features "father" of ECU" (Press release). ECU - News Bureau. 2007. Retrieved 2007-06-10. ↑ "An East Carolina Memoir by Henry C. Oglesby" (Press release). Pieces of Eight. 1982-02-15. Retrieved 2007-06-10. ↑ "East Carolina University Timeline". University Archives. East Carolina University - Joyner Library. 2007. Retrieved 2007-06-10. 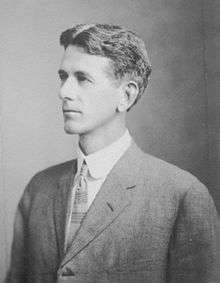 ↑ "Thomas Jordan Jarvis - Father of East Carolina University". Joyner Library, East Carolina University. 2007. Retrieved 2007-06-11. ↑ National Governors Association (2004). 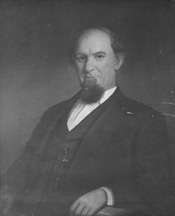 "North Carolina Governor Thomas Jordan Jarvis". Governor's Information. National Governors Association. Archived from the original on September 30, 2007. Retrieved 2007-06-11. ↑ "Residence Halls". Residence Halls. East Carolina University - Campus Living. 2009. Retrieved 2010-02-20. ↑ "Murphy Center". Facilities. East Carolina University Athletics. Retrieved 17 August 2011. ↑ "Ward Sports Medicine Building". Facilities. East Carolina University Athletics. Retrieved 17 August 2011. ↑ "Scales Field House". Building Information. Joyner Library, East Carolina University. Retrieved 17 August 2011. ↑ "Pirate Club". Building Information. Joyner Library, East Carolina University. Retrieved 17 August 2011. ↑ "Cliff Moore Football Practice Facility". Facilities. East Carolina University Athletics. Retrieved 17 August 2011. ↑ "Lewis Field at Clark-LeClair Stadium". Facilities. East Carolina University Athletics. Retrieved 17 August 2011. 1 2 "Our Facilities". Undaunted. Retrieved 17 August 2011. ↑ "Pitt County Memorial Hospital". Pitt County Memorial Hospital. University Health Systems of Eastern Carolina. 2009. Retrieved 2010-02-20. ↑ "About University Health Systems of Eastern Carolina". University Health Systems of Eastern Carolina. 2009. Retrieved 2010-02-20. ↑ "Division of Health Sciences". Division of Health Sciences. 2007. Retrieved 2007-06-11. ↑ "Leo W. Jenkins Cancer Center" (PDF). ECU Physicians. 2008. Retrieved 2010-02-20. ↑ "ECU breaks ground for new Family Medicine Center". Division of Health Sciences News. 2008. Retrieved 2010-02-20. ↑ "Groundbreaking Ceremony". ECU School of Dentistry. 2008. Retrieved 2010-02-20. ↑ Latham, Art (2002). "N.C. Agromedicine Institute obtains health research grant". Perspectives Online. North Carolina State University. Retrieved 2007-06-11. ↑ "Mission, Vision, Goals". North Carolina Agromedicine Institute. Archived from the original on October 15, 2004. Retrieved 2007-06-11. ↑ "History: A Legacy of Commitment". About the School. The Brody School of Medicine. January 15, 2007. Archived from the original on February 25, 2007. Retrieved 2007-07-16. 1 2 "Small Business Institute". College of Business. East Carolina University. 2007-06-22. Retrieved 2007-07-15. ↑ Boyd, Doug. "ECU breaks ground for Ahoskie dental center". Health Sciences News. Retrieved 25 August 2011. ↑ "News Story | Division of Health Sciences | East Carolina University". Ecu.edu. Retrieved 2014-08-24. ↑ "Field Station for Coastal Studies at Mattamuskeet". ICW-NET, LLC. 2004. Retrieved 2007-06-11. ↑ "Mattamuskeet Field Station" (PDF). East Carolina University. September 2006. Retrieved 2007-06-11. ↑ "Lake Mattamuskeet Pump Station". North Carolina - Hyde County. National Register of Historic Places. 1980. Retrieved 2007-06-11. ↑ "North Recreational Complex". East Carolina University. 2007-12-03. Retrieved 2008-02-13. ↑ "North Recreational Complex" (Press release). Facilities Engineering and Architectural Services - East Carolina University. Retrieved 2007-06-10. ↑ "ECU breaks ground on new athletic complex". ECU - News Bureau. 2006. Retrieved 2007-06-10. ↑ Steele, Janis. "ECU's North Recreational Complex to Open its Phase II in August" (PDF). East Carolina University News Service. Retrieved 31 August 2011. ↑ "Undergraduate and Graduate Degree Programs". Undergraduate Catalog 2011-12. Retrieved 26 September 2011. ↑ White, Alan (2007-03-05). "The Liberal Arts". Thomas Harriot College of Arts and Sciences. East Carolina University. Retrieved 2007-06-11. ↑ "Welcome to Thomas Harriot College of Arts and Sciences". Thomas Harriot College of Arts and Sciences. East Carolina University. 2006-09-25. Retrieved 2007-06-11. ↑ "School of Business, One of Finest in the Country" (Press release). ECU Report, Volume 15, No. 1. January 1983. Retrieved 2007-06-11. ↑ "College of Business Statistics". About the College of Business. East Carolina University - College of Business. 2007-03-05. Retrieved 2007-06-11. ↑ "College of Business". Graduate Management Admission Council. 2007. Retrieved 2007-06-11. ↑ "College of Education Fact Sheet - Spring 2009" (PDF) (Press release). College of Education. 2009. Retrieved 2010-02-20. ↑ "College of Education Fact Sheet". East Carolina University College of Education. East Carolina University. 2007. Archived from the original on 2007-05-04. Retrieved 2007-06-10. ↑ "About the College". ECU College of Fine Arts & Communication. College of Fine Arts & Communication. 2009-12-09. Retrieved 2010-02-20. ↑ "History of the College of Health and Human Performance" (PDF). The College of Health & Human Performance. 2007-01-11. Retrieved 2007-06-11. ↑ "History, Mission, and Vision of CHE". College of Human Ecology. East Carolina University. 2006-09-21. Retrieved 2007-06-11. ↑ "The Carolyn Freeze Baynes Institute of Social Justice" (PDF). College of Human Ecology. 2007-04-23. Retrieved 2007-06-11. ↑ "College of Technology and Computer Science". College of Technology and Computer Science. East Carolina University. 2006-09-14. Retrieved 2007-06-24. 1 2 "Request for Authorization to Establish a Bachelor of Science Degree in Engineering at East Carolina University" (PDF). Appendices for the minutes on March 19, 2004. The University of North Carolina. 2004-05-18. Retrieved 2007-06-24. ↑ "The College of Allied Health Sciences". East Carolina University. 2007-05-16. Retrieved 2007-06-11. ↑ Brown, Sylvia T. (2007-06-11). "Welcome from the Dean". About us. School of Nursing. Retrieved 2007-06-11. ↑ "History". The College of Nursing at East Carolina University. Retrieved 15 September 2011. ↑ ECU, Student (2007-10-23). "Two East Carolina University schools have been re–designated as colleges". Retrieved 2007-12-06. ↑ "2008-2011 Centers of Excellence Designees". National League for Nursing. Retrieved 15 September 2011. ↑ "Academics". Undaunted. East Carolina University. Retrieved 15 September 2011. ↑ "Masters Programs". Graduate School. East Carolina University. Retrieved 2007-07-16. ↑ "Certificate Programs". Graduate School. East Carolina University. Retrieved 2007-07-16. ↑ "Doctoral Programs". Graduate School. East Carolina University. Retrieved 2007-07-16. ↑ "Academic Programs". Graduate School. East Carolina University. Retrieved 2 June 2011. ↑ Board of Trustees (2006-02-24). "Board of Trustees Meeting" (PDF). East Carolina University. pp. 15–16. Retrieved 2007-06-10. ↑ Martin, Harold (2006-11-03). "Request to Establish a Doctor of Dental Surgery Degree Program at East Carolina University" (PDF). Appendix O. University or North Carolina Board of Governors. Retrieved 2007-06-10. ↑ "Doctor of Dental Surgery Degree Program at East Carolina University" (PDF). Report of the Committee on Educational Planning, Policies, and Programs. The University of North Carolina - Board of Governors. 2006-11-10. Retrieved 2007-06-10. ↑ Pories, WJ; MacDonald KG, Jr; Flickinger, EG; Dohm, GL; Sinha, MK; Barakat, HA; May, HJ; Khazanie, P; Swanson, MS; Morgan, E; Leggett-Frazier, N.; Long, S.D. ; Brown, B.M; O'Brien, K.; Caro., J.F. (Jun 1992). "Is type II diabetes mellitus (NIDDM) a surgical disease?". Annals of Surgery. 215 (6): 633–42; discussion 643. doi:10.1097/00000658-199206000-00010. PMID 1632685. Retrieved Sep 1, 2014. ↑ "About Joyner Library". J.Y. Joyner Library, East Carolina University. 2006-03-14. Retrieved 2007-06-11. ↑ "About the Music Library". Joyner Library, East Carolina University. 2006-10-06. ↑ "About the Music Library". Joyner Library, East Carolina University. Retrieved 29 September 2011. ↑ "Music Library". Staff Directory. Joyner Library, East Carolina University. Retrieved 29 September 2011. ↑ "History of the Library". Laupus Library. Laupus Library. 2007-02-27. Archived from the original on 2007-06-29. Retrieved 2007-06-11. 1 2 Lauten, Elizabeth (2007-03-08). "History of Greek Life". Pulse. The East Carolinian. Retrieved 2008-02-13. 1 2 "East Carolina". Conference USA. 2007. Retrieved 2007-06-06. ↑ Myatt, Al (2004). "Bingo! Search mission accomplished". Bonesville.net. Retrieved 2007-06-06. ↑ Tuttle, Steve (2006). "Building the Future". East Magazine. Retrieved 2007-06-06. ↑ "Inactive Content". Ecu.edu. Retrieved 2014-08-24. ↑ "President/Chancellor Bios". Joyner Library - East Carolina University. 2006-02-22. Retrieved 2007-06-11. ↑ "East Carolina University Board of Trustees". Board of Trustees - East Carolina University. 2006-02-22. Retrieved 2007-07-05. ↑ "Board of Governors names Cecil Staton as chancellor" (Press release). East Carolina University. 2016-04-27. Retrieved 2016-07-01. ↑ "2014 National Universities Rankings". Washington Monthly. n.d. Retrieved May 27, 2015. ↑ "Best Colleges 2012". Best Colleges 2012. U.S. News & World Report. 2012. Retrieved 2012-09-13. ↑ "America's Best College Buys". America's Best Colleges. Forbes. August 11, 2010. Retrieved August 12, 2010. ↑ U.S. News; World Report (2007). "Top Medical Schools - Primary care". America's Best Graduate Schools 2012. U.S.News & World Report. Retrieved 2008-11-14. ↑ Mullan, Fitzhugh; Chen, Candice; Petterson, Stephen; Kolsky, Gretchen; Spagnola, Michael (June 15, 2010). "The Social Mission of Medical Education: Ranking the Schools". Annals of Internal Medicine. Philadelphia, Pennsylvania: American College of Physicians. 153 (12): 804–811. doi:10.7326/0003-4819-152-12-201006150-00009. PMID 20547907. Retrieved July 9, 2010. ↑ WNCT Staff. "ECU among top business schools". WNCT. Retrieved 16 October 2011. ↑ "Top Ranked Most Affordable Online MBAs - AACSB Accredited". Retrieved 2012-09-13. ↑ "East Carolina University honored with Patriot Award". December 2, 2009. Retrieved July 9, 2010. ↑ Phillips, Melissa (July 8, 2010). "Department of Defense Announces 2010 Secretary of Defense Employer Support Freedom Award Recipients". Employer Support Freedom Award. The Secretary of Defense Employer Support Freedom Award. Retrieved July 9, 2010. 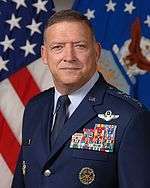 ↑ Batchelor, Scott (September 2, 2003). "Tailgating 101: What you need to know to tackle the tailgate Mixer". Daily Reflector. Retrieved January 11, 2012. ↑ "Sandra Bullock". IMDB. Retrieved 2007-06-10. ↑ Procter, Emily (2005). "Bio". Emily Procter Official Site. Emily Procter. Retrieved 2007-06-08. ↑ "Kevin Williamson Biography". Kevin Williamson. Yahoo TV. 2007. Retrieved 2007-07-08. ↑ "History". 2003 winner. Pulitzer Board. 200. Retrieved 2007-07-08. ↑ "History". 2004 winner. Pulitzer Board. 200. Retrieved 2007-07-08. ↑ Churchill, Theresa (2007-06-10). "Best-selling author highlights upcoming diversity conference at Richland". Herald & Review. Retrieved 2007-06-10. ↑ "Successful Businessmen" (Press release). ECU Report. January 1981. Retrieved 2007-07-08. ↑ "Kelly S. King". Executive Profile. BB&T. Retrieved 2010-01-01. ↑ "David Garrard". Jacksonville Jaguars. Archived from the original on 2008-01-18. Retrieved 2008-02-08. ↑ "Vince McMahon Biography (1945-)". A&E Television Networks. 2007. Retrieved 2008-02-08. ↑ "East Magazine - Portrait of the Artist". Ecu.edu. 2013-04-16. Retrieved 2014-08-24.